Sorry to leave you hanging last week, friends! I felt a little burnt out, and I was suddenly unable to get up from the couch where I was watching British murder-mysteries set in a cozy fictional small towns with disproportionately high violent crime-rates perpetrated by seniors in time to post on Wednesday. But look at me now, showered and hair-straightened and ready to talk about clothes! I am one of those people who are suckers for coats, but when I saw this one I realized that it’s been a while since I was really excited and inspired by a coat! 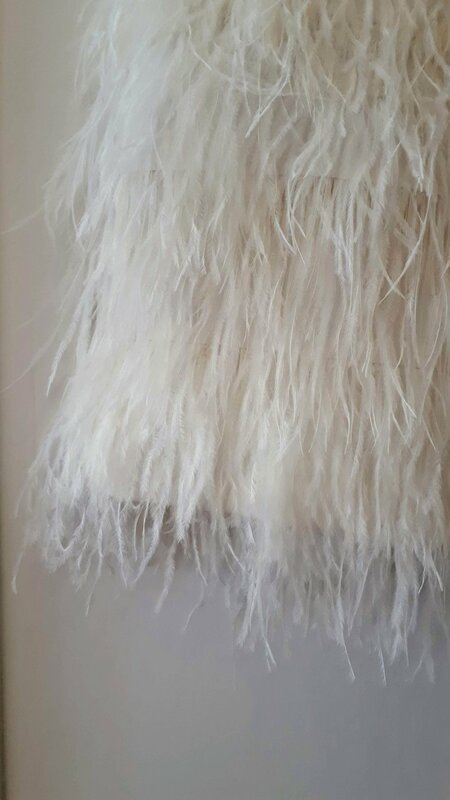 Nothing against the very important puffy coats out there, but this lovely is wool and mohair, which gives it that shiney, long fibre look. And, friends, this one is an amazing, sophisticated olive green. Such a great colour choice to signal vintage/”ugly”, while very obviously being fashion-forward and elegant. I don’t know how lighting or cameras work, but I tried to capture the colour and texture here, and I’m not sure I’m doing it justice, so you’ll have to come into the shop for a proper analysis. Ok, ok, OK OKOKOKOK, speaking of textures! Look! FEATHERS!!!!!!! 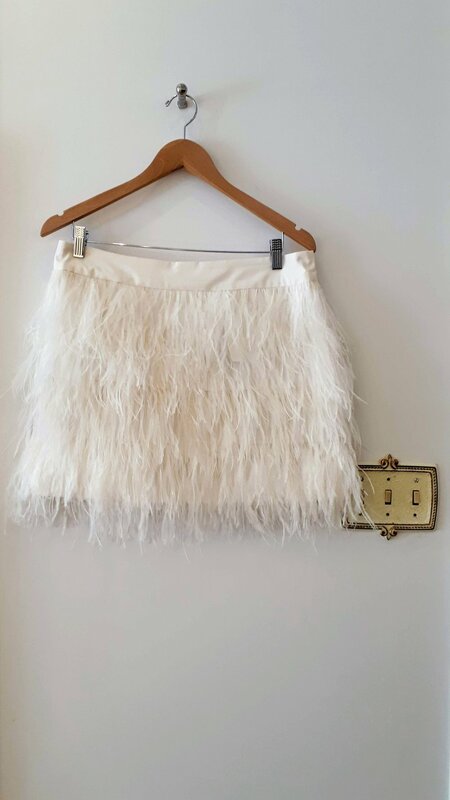 Friends, I am so excited about this feather skirt, I just can’t even! The white fluffiness of it it so amazing too! 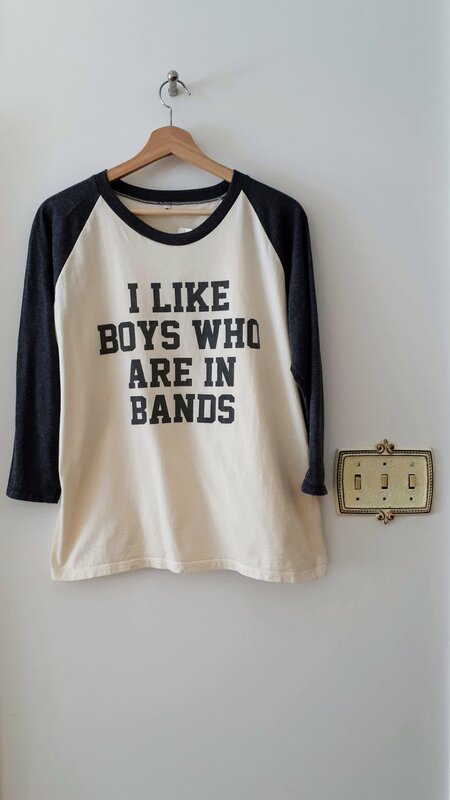 If I wasn’t a Spiller, I would totally scoop this up and wear it everyday! How beautiful and grown-up is this necklace? It’s rose gold (and I assume white gold, but I couldn’t find the stamp on the light part with my tired vampire eyes). When I looked Breuning up, I had the very rare -and very satisfying experience- of seeing the piece right on their landing page! I was so excited that I took a picture of it, which turned out to be a great move because they have since changed their landing page and I can’t find this anywhere on their site now. But this happened! Breuning is a German jeweler, and from what I can tell you can’t get it in Canada (someone correct me if I’m wrong and they actually sell this at every jewelry store in Bonnie Doon Mall)! Like the green coat, I tried hard to take pictures that show the amazing dimension of colour on the pendant. The shiny rose-gold and the brushed possible-white-gold-but-could-be-silver-but-I-have-no-idea-because-I-am-too-lazy-to-dig-deeper look gorgeous and modern together! Weeeeeeeeeeeee, friends, it’s Gentle Fawn! One of my favourite Canadian brands for both excellent design and garments, but also for their super creative name that evokes both stillness and peace, but also beauty and whimsy: Gentle Fawn! This dress is faux-wrap, which I imagine would move beautifully when you walk. 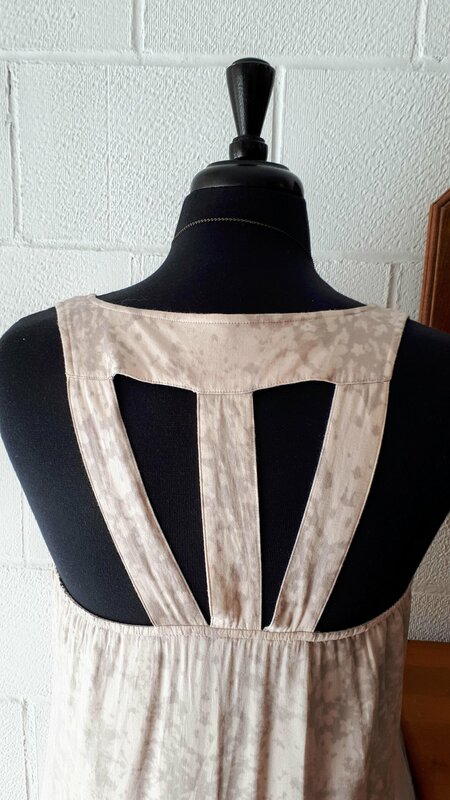 And check out the great back! Captain Nemo! I KNOW THEM! I must be texture-crazed this week, friends, because I loooooooove the pony hair (Ha! “Pony hair”/”Red Pony”. I just saw it) on this pouch. Toni Bianco is Australian and family owned; that’s cute. Seriously, I spent a lot of time petting this. 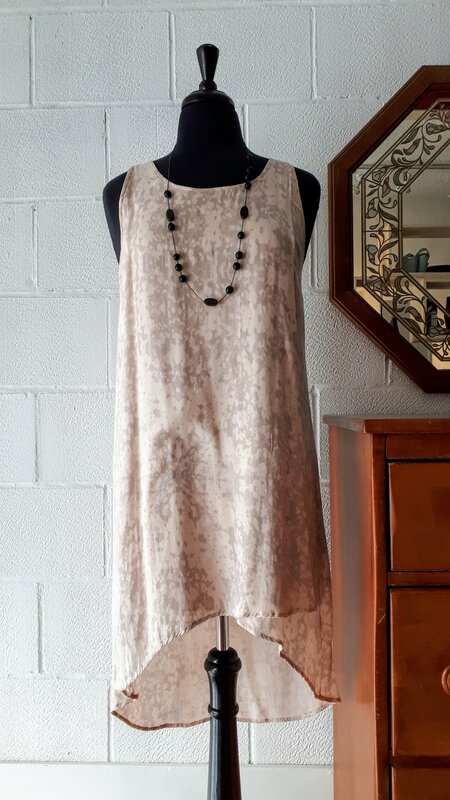 Our special treat this week is this brand new, silk Nicole Miller dress!! I love the seasonal appropriate floral on black, it’s so striking. And this dress has a vintage almost-80s feel to it. These are the pretty bell sleeves…. ……and they are mysteriously, intentionally gathered! This probably adds a lot of drama when you are talking with your hands! I can’t wait to see this one in action on a human! Awesome normcore red New Balance runners! 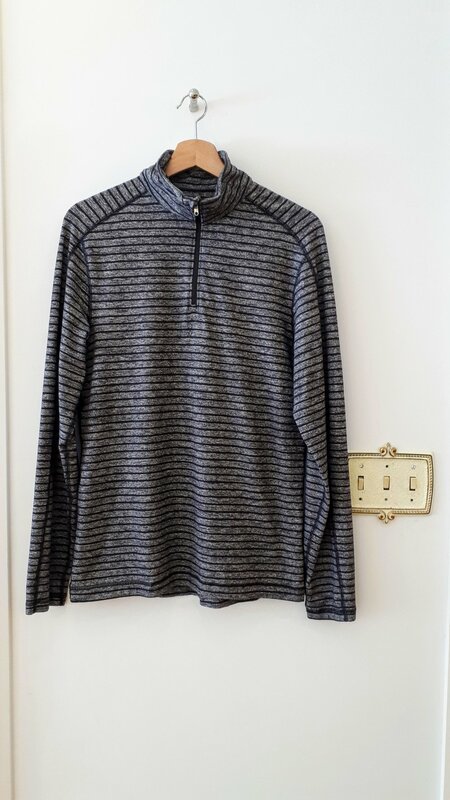 From the mens section, a great Lululemon top! And this one is nothing special and EVERYTHING special at the same time.! I just think this colour is so pretty so I wanted to show you! And here’s what I found in the sales section! How can this gorgeous Betsey Johnson dress STILL be here?! And speaking of sales, we are doing this one again! Totally worth leaving the house for! I found some super cool stuff in the backroom! Like a skeleton dress! I’ll be in tomorrow (Thursday) in the early part of the day, and, as always, all day Saturday. You should come down to check out the sale (we have a parking lot now, friends! Your outdoor time will be minimal!) and we can have a chat about the merits of Original DCI Barnaby versus New DCI Barnaby!